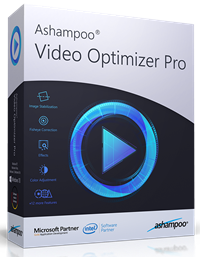 Our friends at Ashampoo have once again shown their generosity to our readers by giving us five licenses for their Video Optimizer Pro software. These licenses are currently discounted to $50 (US) each, but by entering our giveaway contest you might just be lucky enough to get one for free! This giveaway contest is scheduled to begin on December 10 and will end on December 20, 2018. Another great Ashampoo program to keep your eyes on! Aomei has been kind to us by offering five licenses to our readers for a Partition Assistant Pro giveaway contest. Each license is currently discounted at $39.95 (US), but you could win one for free by entering our giveaway contest! This giveaway contest is scheduled to begin on December 24 and will end on January 3, 2019. This is a great chance to win a great program! The current value of this bundle is nearly $360 (US), but many are presently discounted and can each be viewed by following the above links to the individual products. This giveaway contest strays from our usual schedule in that there will only be one winner and it will last for only one week, beginning on January 1 and ending at midnight on January 8, 2019. This one will fly by quickly, so keep your eyes open for this great deal! Ashampoo is currently offering many of its products at huge discounts for the Christmas season, as well. By clicking on the above image you will be taken to their Deals Page so you can see what’s up for grabs. These deals end on December 20 so this will be your only notification from DCT. Audials has generously offered DCT five licenses for a giveaway contest. Each winner will receive a license for Audials One 2019. These licenses are currently valued at $49.90 (US) each. This giveaway contest is scheduled to begin on January 7 and will end on January 17, 2019. 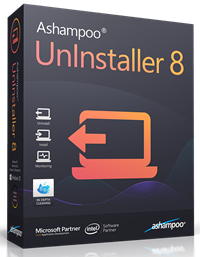 Ashampoo has given DCT five licenses for a giveaway contest for their new Uninstaller 8 program. At the time of writing these fully functional licenses are valued at $39.99 (US) each (currently discounted to $20). This giveaway contest is scheduled to begin on January 21 and run through January 31, 2019. This is a great software solution for anyone interested in keeping their system free of cruft. Don’t miss this one, folks! 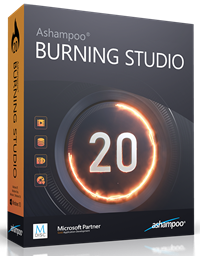 Our friends at Ashampoo have offered our readers a chance to win one of 10 licenses for their Burning Studio 20 software. These licenses usually go for $49.99 (US), but for a short time you can pick one up at a 60% discount at the time of this writing. You could also enter this contest for a chance to get one for free! This giveaway contest is scheduled to begin on February 1, 2019, and will run for the entire month ending on February 28, 2019. Don’t miss out!! Thanks for a chance to win some nice video software!